Joe Mikulik reached a milestone in 1992, just not a milestone he really wanted. Mikulik, a career minor leaguer playing in his ninth pro season, recorded his 1,000th professional hit that June, all without a chance to hit even one in the majors. "That hit is something I'll always remember," Mikulik, playing at AAA Tucson, told The Victoria Advocate then. "But I'll trade all my minor league hits for one big league hit." Mikulik went on to play in two more seasons, for a total of 11. He never made the majors. He has gone on to a long career as a minor league manager, helping to send others on to get hits - or prevent them - in the majors. Mikulik's long career in baseball began in 1984, taken by the Astros in the ninth round of the draft out of San Jacinto College in Texas. Mikulik started with the Astros at short-season Auburn. He moved to single-A Asheville in 1985, where he hit .267, with 23 home runs. He made AA Columbus in 1986, his third year as a pro, then AAA Tucson in 1988. 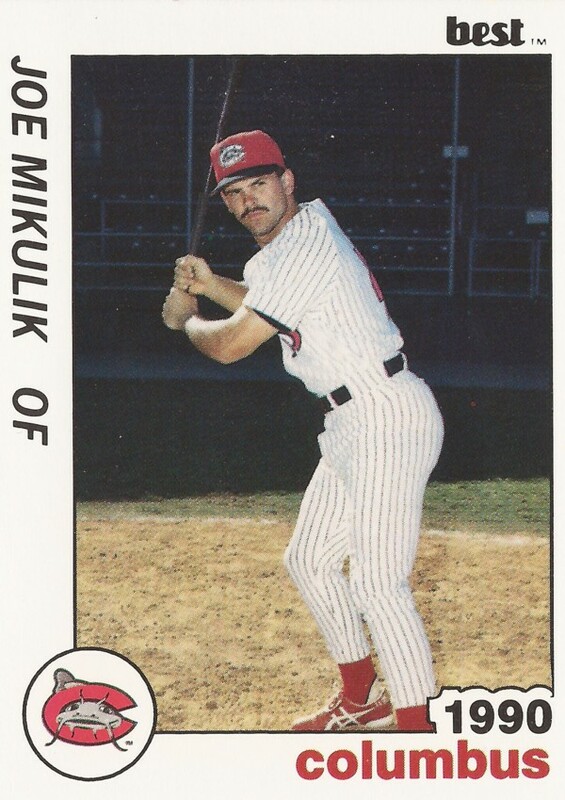 Including 1988, Mikulik went on to play at AAA at some point every season over seven years. But he never made the jump to the majors. Mikulik spent 1993 exclusively at Tucson. He got into 93 games and hit .301. Going into that year, he spoke with The Advocate about why he kept returning. "I just love the game," Mikulik told The Advocate. "It's a personal challenge." Mikulik played his final season in 1994, playing between Tucson and two stops in Mexico.The next year, he started his coaching and managerial career. Mikulik served 1995 as hitting coach at AA Canton/Akron. He then managed 1998 at rookie Burlington and arrived back at Asheville as manager in 2000. He stayed at Asheville through 2012, winning the 2012 league championship. In June 2006, Mikulik made national headlines with a on-field meltdown, upset over an umpire's call. He dove into second base, stole the base, threw bats and expressed himself other ways, earning a seven-game suspension and a fine. Mikulik managed 2014 at Myrtle Beach and 2015 and 2016 at AA Frisco. In 2014, Mikulik explained his competitive nature to The Fort Worth Star-Telegram. "That's the way this game is, this game is intense, it's full of energy, it's full of life," Mikulik told The Star-Telegram. "It's not a boring game. A lot of people call it a boring game, but if you look back, one call can turn the game around."